Lee's Legion was a military unit within the Continental Army during the American Revolution. It primarily served in the Southern Theater of Operations, and gained a reputation for efficiency and bravery on the battlefield and ruthlessness equal to that of the British Tarleton's Raiders. The original unit was raised June 8, 1776, at Williamsburg, Virginia, under the command of Henry "Light Horse Harry" Lee for service with the 1st Continental Light Dragoons of the Continental Army. On April 7, 1778, the Legion left the 1st CLDs and became known as Lee's Legion. It included elements of both cavalry and foot. The unit first saw action in September of that year, defeating a Hessian regiment in an ambush. 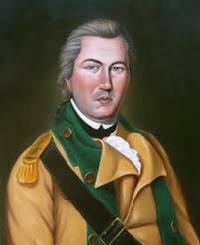 When Lord Cornwallis moved his British Army into North Carolina, Lee's Legion entered South Carolina to protect that colony, to intimidate Loyalists and harass British expeditions. Often, the Legion served with Francis Marion and Thomas Sumter in these missions. In 1781, it participated in Pyle's Massacre and the Siege of Ninety Six.